As the site administrator, there are some features available to you in the WordPress admin. Let's take a look at those. 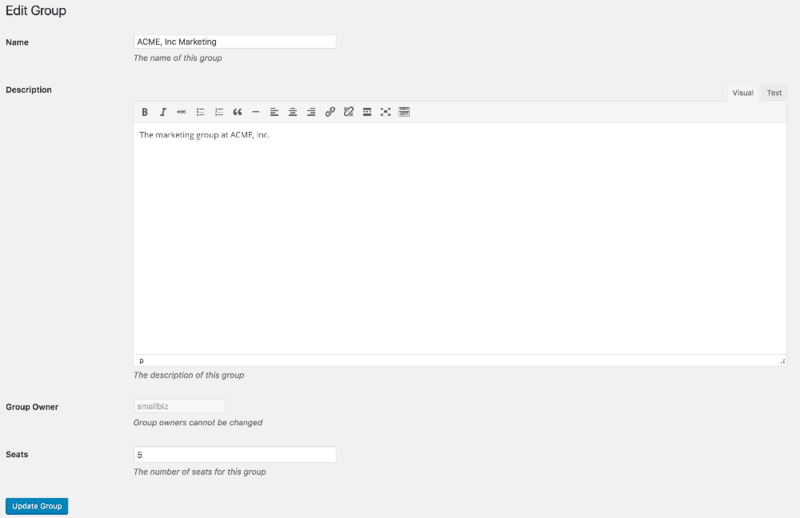 Site administrators can view and manage groups in the WordPress admin by going to Restrict > Groups. This page lists all the groups on the site. Management links are available in the Actions column. You can edit the group, view/edit the members, or delete the group. The above screenshot shows the group edit screen. From here you can change the name, description, and seats available to the group. The above screenshot shows the members list of the group. From here you can add members, remove members, promote members to a group admin, and demote group admins to a standard member.